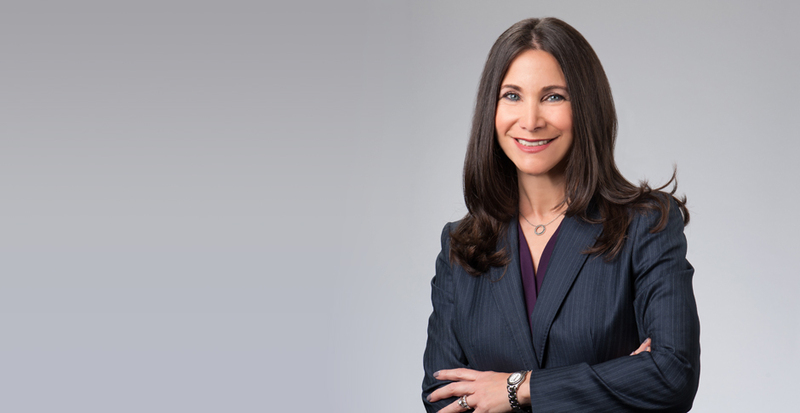 Named to Super Lawyers’ “Top 50 Women in Southern California” nearly each year since 2007, Sheryl Leichenger serves on the firm’s Executive Committee and as the managing partner of the firm's construction defect coverage team in California. With more than 20 years of experience, she is one of the authors of the LexisNexis Matthew Bender Practice Guide: California Insurance Coverage and Litigation, and focuses her practice on representing insurers in complex coverage disputes and coverage litigation, including cases arising out of extracontractual matters, emphasizing third-party insurance coverage, construction and environmental matters, products liability, professional liability, food liability, and underwriting disputes. Sheryl advises her clients on business practices, underwriting and claims handling, and drafts policy forms and endorsements. Her experience also includes primary/excess issues, additional insured issues and OCIP/Wrap-Up Matters. Her clients include both local insurance companies and multi-national corporations. Sheryl's training as a CPA paired with her extensive experience in insurance provides her a unique ability to evaluate complex coverage issues and focus on effective and strategic resolution strategies. She works closely with clients and strives to work collaboratively to address their business needs on a portfolio basis. Sheryl's practice focuses on defending insurers against declaratory relief and extracontractual suits, analyzing coverage for complex claims, and counseling insurers on claims handling and recovery. Having acted as lead counsel in major litigation throughout California and in other states, Sheryl has extensive trial experience in both state and federal courts. Additionally, she has been involved with numerous appeals as lead appellate counsel. Summary judgment was granted in favor of client insurer in a case in which a general contractor of a large apartment complex filed a judgment creditor action, based on a default judgment obtained as a result of an arbitration award against the named insured. General contractor sought over $300,000 in satisfaction of the judgment, interest, and costs of suit, but was denied recovery on the basis that coverage was precluded pursuant to a "Development/New Construction Residential Exclusion." Represented an insurance company in negotiating settlement of Bodily Injury and Property Damage claims maintained by more than 200 claimants one week prior to bell weather trial was scheduled to begin. Suit concerned allegations of contaminated groundwater due to business operations on property adjacent to the Plaintiff homeowners. Also represented insurer in a related action by other insurers seeking reimbursement and declaratory relief and by insured who alleged bad faith regarding each insurers duty to defend and indemnify. Represented insurer in multiple party action regarding priority of insurance coverage and issues concerning satisfaction of Self Insured Retention. Coverage counsel for insurer providing advice regarding Multi District Litigation and Federal Trade Commission action concerning well known entity sued for making deceptive claims regarding its products. Coverage counsel for insurer involved in largest Hepatitis A Outbreak from food borne illness. Successfully negotiated settlement of more than 300 claims and then pursued recovery of defense and indemnity paid by insurer from vendors and suppliers of the insured. In defense of client insurer, rescission and/or reimbursement was pursued for insurer's $2 million indemnity payment against defendant, and contribution/subrogation against other additional insured carriers for $875,000 paid in defense fees and costs. Judgment was obtained on client insurer's behalf, and over $1.5 million (of the $2 million) was collected as to the claims against the insured. In addition, approximately $950,000 was collected, including pre-judgment interest, in defense fees and costs from the additional insured carriers. Settlement was reached in a multi-million dollar complex construction defect/landslide case wherein the carrier for our client, the soils engineer and target defendant, initially denied coverage. A significant contribution was negotiated from the carrier to bring settlement within reach, and the client was spared the cost of trial and risk of punitive damages. Defended insurance company against a claim that client wrongfully denied coverage for plaintiff pursuant to various additional insured certificates and endorsements. Initially, the case involved approximately 20 claims, was expanded to include approximately 60 claims, and ultimately included over 180 claims. Plaintiff demanded $1.5 million for the original 20 claims. Settlement was negotiated for a very low amount, resolving any and all claims denied by client relating to any tender by plaintiff. Defended client against a complaint for declaratory relief filed by named insured, which sought a declaration that the "deductible" provision in the policy applied, such that named insured was responsible to satisfy only one deductible payment of $5,000 when there was only one party suing the insured. A cross-complaint for collection of multiple deductibles was filed on behalf of defendant client, since numerous parties sued named Insured in each construction defect action. On the eve of the trial date, named insured was persuaded to make payment to client. In a case involving an attempt to obtain satisfaction of the judgment against client insurance company's insured, client insurer interpled the judgment amount, and sought offset of certain amounts. While plaintiff had a judgment against the insureds in the amount of approximately $400,000, client insurer's other insured had a judgment against plaintiff in the amount of approximately $250,000. Client insurer asked the Court to offset the judgments. Due to various claims, three separate parties asserted that client insurer was not entitled to an offset. The case was litigated very heavily, with the various parties asserting priority. The parties stipulated to a court trial. After briefing and argument, the Court issued its Findings of Fact and Conclusions of Law relating to this matter, in which the Court ruled that client insurer had a right to equitable offset, and that that right to offset had priority over plaintiff's claims. Within hours of the ruling, plaintiff filed a notice of appeal. Represented an insurance company that provided coverage to a landscaping subcontractor, and that was the only additional insured carrier providing the construction project's developer with a defense. On behalf of the insurance company, we sought reimbursement from the developer for all uncovered claims and contribution from other, non-participating additional insured carriers for the developer. Represented insurer in a coverage action concerning a dispute over responsibility for underlying defense and indemnity amounts paid on behalf of a mutual insured. A settlement was achieved that resulted in a recovery for our client in the amount of $500,000. Represented three insurance companies in three separate coverage actions filed by plaintiff insurer. Although plaintiff initially sought several million dollars from our clients based on allege coverage obligations owed to a mutual insured under various CGL policies, the cases settled weeks before two of the coverage actions were scheduled to go to trial. Notably, the settlement amount was less than one-tenth of the initial demands made by plaintiff. In a case involving an attempt to obtain satisfaction of the judgment against client insurance company's insured, client insurer interplead the judgment amount, and sought offset of certain amounts. While plaintiff had a judgment against the insured's in the amount of approximately $400,000, client insurer's other insured had a judgment against plaintiff in the amount of approximately $250,000. Client insurer asked the Court to offset the judgments. Due to various claims, three separate parties asserted that client insurer was not entitled to an offset. The case was litigated very heavily, with the various parties asserting priority. The parties stipulated to a court trial. After briefing and argument, the Court issued its Findings of Fact and Conclusions of Law relating to this matter, in which the Court ruled that client insurer had a right to equitable offset, and that that right to offset had priority over plaintiff's claims. Within hours of the ruling, plaintiff filed a notice of appeal. Prevailed on a Writ of Mandate on behalf of client insurer. The Second District found that the trial court erred in denying insurer's motion to stay a default prove-up hearing pending insurer's appeal of the trial court's denial of its motion to intervene in the underlying construction defect suit against the insured. Obtained a dismissal of client insurer in a bad faith lawsuit filed by subcontractor claiming insured status under client insurer's Home Builders Protective Insurance policies in connection with four underlying construction defect lawsuits. Represented Insurer in multiple bad faith lawsuits concerning OCIP policies. Address issues regarding priority of coverage and policy exclusions which limited or precluded coverage for the various insureds. Nat'l Football League v. Fireman's Fund Ins. Co. Represented an insurer client before the California Court of Appeal. The appellate court upheld the lower court's finding that California was an inconvenient forum in light of pending litigation involving many of the same parties in New York state courts. The insureds sought to obtain declaratory relief in California regarding the coverage duties of 32 insurance carriers as it concerned coordinated or consolidated Multidistrict Litigation against the insured alleging negligence in failing to protect players from long-term injuries. Despite the insureds' arguments regarding residence and convenience, the Court of Appeal held that the insureds were not California residents and that the stay of the California action was proper after weighing and balancing the relevant forum non conveniens factors. California Traditions, Inc. v. Claremont Liability Ins. Co. Represented an insurer client before the California Court of Appeal. The appellate court upheld a manuscript exclusion included in a policy issued to a rough framing subcontractor regarding liability arising out of work performed on condominium and townhome projects. The insured argued he reasonably expected coverage as the units had many of the outward appearances of non-condominium detached single family homes (e.g. freestanding units with non-shared walls and utility lines); and (2) the exclusion was ambiguous because the term "condominium project" was not defined in the policy, and a reasonable insured would not have viewed the exclusion as precluding coverage for the insured's framing work performed on freestanding units "that did not bear the indicia commonly associated with a condominium project." The trial court rejected these arguments and granted our client's motion for summary judgment. The Court of Appeal has affirmed, helping to solidify the intent of these condo project exclusions, so important to many of our clients. Although the Court first determined not to publish the opinion, since it was helpful to insurers generally, Selman Breitman successfully sought publication. North American Capacity Insurance Co. v. Claremont Liability Insurance Co. Acted as lead counsel and presented oral argument in a matter which focused on the interpretation and application of a Contractors Warranty Endorsement and a Known Injury and Damage Endorsement, and which involved the trigger of completed operation coverage, among many other issues. The court's published decision was included in Mealey's Litigation Report: Insurance in an article entitled, "Top Ten Most Important Insurance Coverage Decisions of 2009." Convinced the Court of Appeal to grant writ review of trial court's erroneous decision compelling insurer client to produce intra-corporate communications falling within the scope of the attorney-client privilege. The Court of Appeal reversed and remanded the trial court's decision, agreeing with our argument that the attorney-client privilege applies to intra-corporate communications not directly involving an attorney if the communications nonetheless reflect legal advice. Defended insurance company against its insured general contractor's claims that the insurer failed to defend the general contractor in a homeowners' action for negligent construction. After securing a favorable ruling on the carrier's motion for summary judgment and following oral argument before the court of appeal, Selman Breitman prevailed on Baroco's appeal of the trial court's ruling. The published decision primarily addresses an insurer's duty to defend in light of the interpretation and application of the products-completed operations hazard definition. Sheryl is actively involved in community activities in the Los Angeles area. She currently serves on the Board of Directors of The Construction Defect Community Charitable Foundation. Sheryl is rated AV® PreeminentTM by Martindale-Hubbell indicating that her peers rank her at the highest level of professional excellence. She has been selected as a Southern California Super Lawyer (2006-2019) and was selected as one of the Top 50 Women by Southern California Super Lawyers several times.